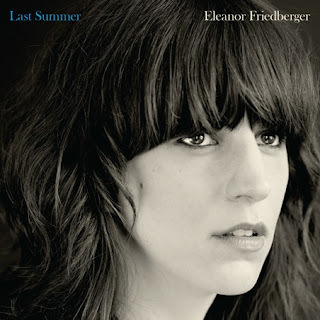 Musica Escrita: Eleanor Friedberger " Last Summer "
Eleanor Friedberger " Last Summer "
Eleanor Friedberger é conhecida por ser uma das metades dos Fiery Furnaces, mas agora resolveu estrear-se a solo com este "Last Summer". Painted Palms " Canopy EP "
Black Lips " Arabia Mountain "
Laurel Halo " Hour Logic EP "
Blanck Mass " Blanck Mass "
Ganglians " Still Living "
Tom Vek " Leisure Seizure "
Alex Clare " The Lateness Of The Hour "
Futurebirds " Via Flamina EP "
Bon Iver " Bon Iver "
Dominik Eulberg " Diorama "
Malajube " La Caverne "
Art Department " The Drawning Board "
Wolf Ram Heart " Betrayal of Hearts "
The Wave Pictures " Beer In The Breakers "
Times New Viking " Dancer Equired "
They Might Be Giants " Join Us "
Incubus " If Not Now, When ? " Box Codax " Hellabuster "
Beth Ditto " EP "
Family Portrait " Family Portrait "
WhoMadeWho " Knee Deep "